Dr. Vishal Rao is presently the in charge of Head and Neck services in the department of surgical oncology at HCG Bangalore. 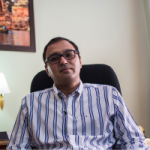 He completed his training in head and neck oncology surgery at the Tata Memorial Hospital in Mumbai and completed a brief stint at the Pittsburgh School of Medicine as a visiting scholar. He is presently Associate Editor of the Cancer Therapy and Oncology International Journal and has more than 20 national and International publications to his credit. 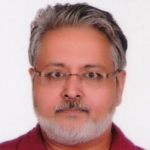 He is also a reviewer for eight international journals. 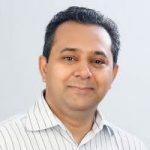 Gowtham has more than 20 years of experience in technology leadership at multinational companies, including a a wide range of startups in the U.S. and India. Gowtham loves building world-class engineering teams and processes that leverage technology to scale business and drive superior customer experience. At Nightingales, Gowtham is building solutions to impact operational efficiency & clinical excellence and non-linear business growth. 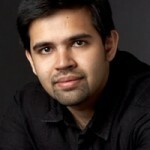 Prior to his role at Nightingales, Gowtham was VP of Engineering at Ezetap. 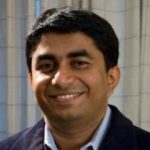 Prior to Ezetap, Gowtham was the Engineering Head of Yahoo’s Small Business e-commerce platform. Dr. Sanjay Sharma has over 16 years’ of clinical experience and is a Foot Specialist focusing on Diabetic Foot and Wound Management in the Department of Surgery at Rajiv Gandhi University of Health Sciences, Bangalore. He is medical graduate from earned his MS in General Surgery (Rajiv Gandhi University), a Ph.D in Ayurveda, and is an alumnus of the Indian Institute of Management, (IIM) Bangalore. 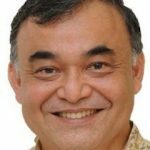 He is Co-Founder of Apta Healthcare Advisers, Yostra Labs, Vital Sense, Aarogyaseva and PeopleHealth. Manish Jain is health care professional who specializes in the financial healthcare industry. He’s the founding member of Health Economics and Market Access (HEMA), Health Policy function at Johnson & Johnson. Mr. Jain focuses on developing strategies in health insurance, partnerships, new product introduction and health financing. Manish has recently started a venture to provide ‘continuum of care in treatment’ which will also facilitate treatment loans to patients and families. Manish is an active member of the CII and FICCI health committee, along with several health technology innovation groups. Muthu is a co-founder of many medtech startups, including Ultimate Startups, Muthu Singaram Consulting, VibaZone and Belief. 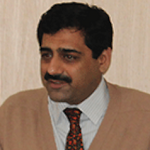 He also acts as CEO of HTIC, Med-Tech Incubator IIT Madras, India. 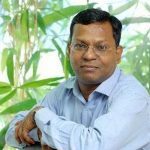 He holds a degree in electronics, an MBA in Multimedia Finance, is a Chartered Electrical Engineer (UK ) and European Engineer, PhD Scholar at IIT Madras, India, and has over 25 years of work experience in engineering, management and entrepreneurship. Vijayasimha Ajarananda, Director, Audicor Cardiometrics Pvt. Ltd.
Mr. Ajarananda is an engineer, physicist, tinkerer, product developer and tea planter. He is also an entrepreneur with 28 products and several enterprises in the market. 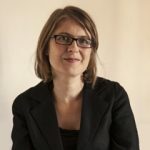 Anna has 19 years global experience working with state and national governments, multilateral agencies, NGOs and the corporate sector in South Asia and East Africa. She has expertise in monitoring, impact evaluations, documentation and knowledge management to enable scale up and replication of public health interventions. Her clients include consulting/technical assistance agencies, NGOs, universities, the private sector and foundations. Anna lives in Bangalore with her husband and daughter. Dr. Ravi Nayar is an ENT specialist with over 4 decades of experience. He currently heads Academic Research at HCG Hospitals. Prior, he chaired the ENT department at St. John’s Hospital. Dr. Nayar has worked on several medical technologies and clinical practice innovations. He was part of the founding team of India’s first vertigo and balance disorder diagnostic firm, Cyclops MedTech.